A must for every Tool box, Tackle box, Glove box, & Emergency kit! 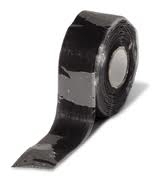 Self-Fusing Silicone Tape - Originally developed for the U.S. Military and been proven in the most extreme conditions/environments. Extremely versatile & easy to use! Withstands extremes in temperature, pressure, voltage, moisture, corrosion, & contaminants, even underwater! 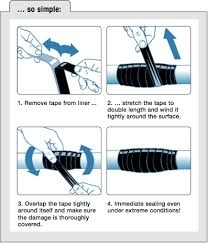 BT-CVW silicone tape is produced from specially formulated silicone rubber. It bonds irreversibly to provide an insulating barrier that is resistant to moisture, oxygen, and ozone over a wide temperature range. Our products provide superior electrical insulation with a dielectric strength of 300 VPM minimum at 356°F/180C. Bonds instantly when stretched and wrapped on any surface. Convenient tearable liner. 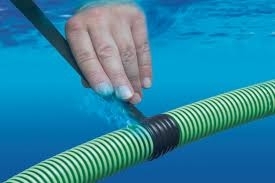 Forms a watertight, airtight seal instantly, even when applied underwater or exposed to or submerged in solvents.